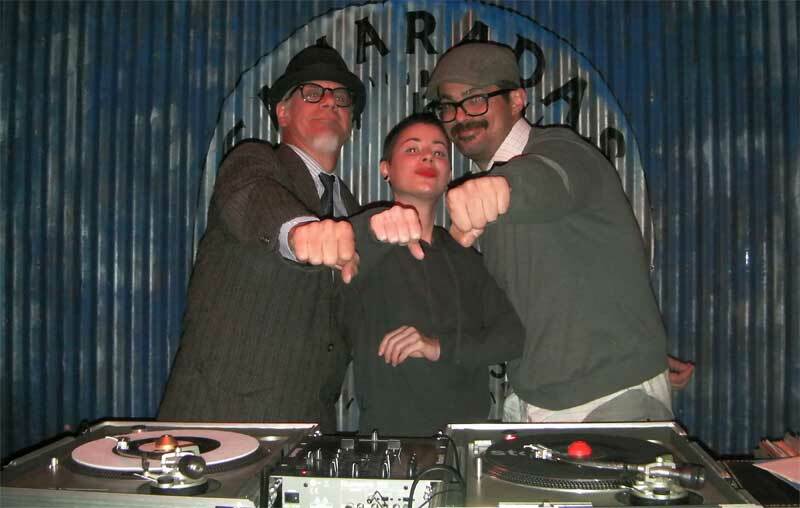 Uptown Getdown DJs: Phast Phreddie the Boogaloo Omnibus, Honey Dew Sue, Peanut Butter Brown. The Uptown Getdown is a fairly recent excursion into the soul dance scene, hosted by our pal Peanut Butter Brown. It is held uptown in Harlem and, although it is a groovy thing, it has had about four or five different locations each time it has taken place. On Thursday November 13, it swung at a bar called Camaradas way up First Avenue at 115th Street. It’s a very hip joint that serves very excellent empenadas, along with the usual frothy drinks. On this cold and rainy evening, Phast Phreddie the Boogaloo Omnibus was guest DJ, along with Honey Dew Sue and the host, Mr. Peanut Butter—who, at midnight celebrated his birthday! The DJs kept the room warm by playing hot soul records all night long. 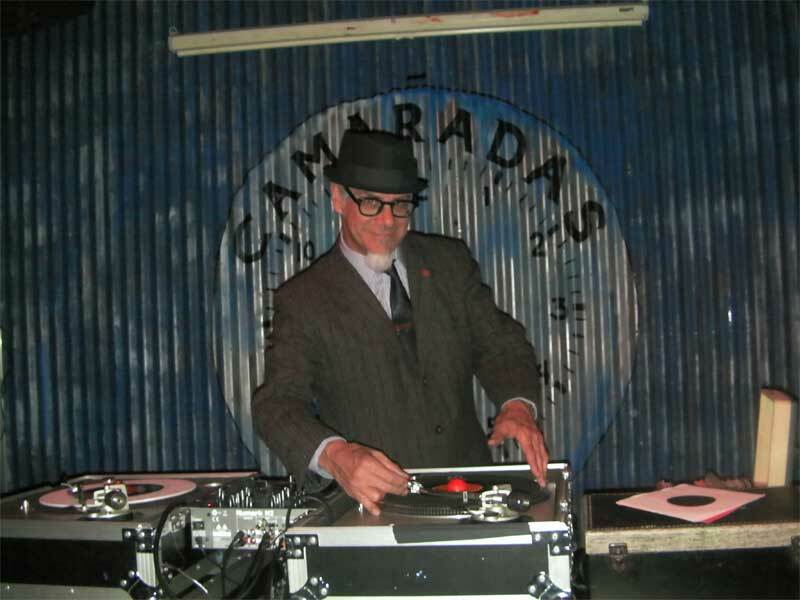 And because we were in Spanish Harlem, our pal Alex De Laszlo dropped by to play some sweet Latin Soul records, which spiced up the evening considerably. The Boog swings at the Uptown Getdown! Photos by Nancy “Jeannie” Gardner.